‘London Calling’, the song written and performed by iconic British punk rock band The Clash, has been an anthem for more than three decades since its release in 1979. Gritty and uncompromising, The Clash blazed a trail with their unique brand of music and virtuosity, and London Calling struck a chord with many at the time. Fragrance Du Bois will be doing the same with its new perfume, London Oud, created for celebrity client and London resident, David Haye, the former World Heavyweight Boxing Champion. There are 2 reviews of London Oud. A fresh, aromatic-marine experience from the niche fragrance makers at Fragrance du Bois. Personally, I did not detect but a minuscule amount of oud that seems to be overshadowed significantly by the lavender's herbal, scintillating presence. The rest of London Oud's tableau evokes images of urban waterside living, thanks to the calone and citrus head notes, blended with the medium strength mint plus lavender. Floral notes add an "outdoorsy" feel, with some beautiful spiciness from nutmeg and mentholated cardamom. Performace is not bad - long-lasting with soft sillage. Great non-oud oud aquatic scent with some depth and interest. But there are a legion of other fine aquatics out there that cost a fraction of this high-priced outing. Do you like fragrances that have oud on the label but barely smell of oud? Are you one of the few people who likes the YSL flanker L'Homme Libre, but wish it cost 20x more? If so, this is an exciting day folks - London Oud is here to answer your prayers! That snarky intro isn't totally fair. There very well may be real Laotian oud in here, with its straight-laced lacquered tone and airy nuances of fruit, but I honestly think this smells 90% identical to L'Homme Libre. 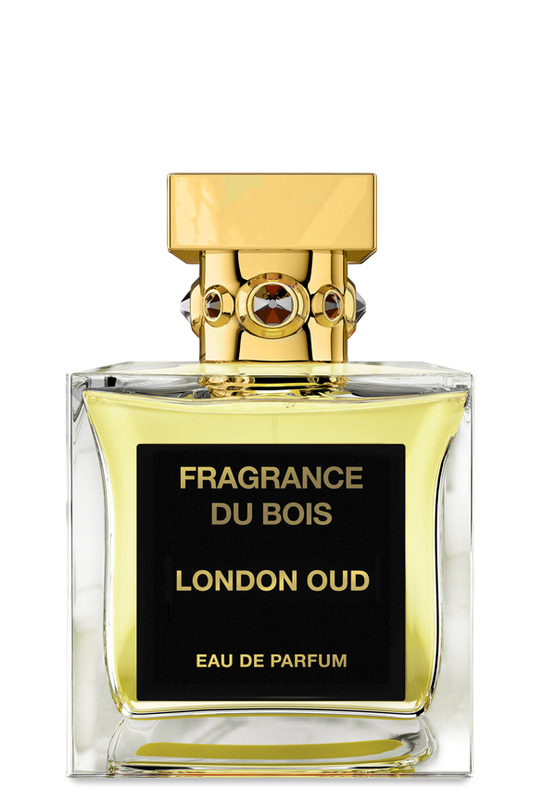 I do like L'Homme Libre quite a bit (the only L'Homme I like) therefore I also like London Oud. London Oud smells a bit more polished, softer, and rounder. Overall, it is more interesting. For details of what London Oud smells like, check out reviews for the YSL, or get a sample from LuckyScent like I did (worth a sniff for $6). The pyramid for London Oud here is considerably different than that of the Fragrance du Bois website, which shares more notes with Libre, patchouli being the most important. The latter smells of quality more so than the former, but I know which I'd pick. NEW Fragrance du Bois London Oud 2 ml Eau de Parfum Deluxe Carded Spray NICHE!